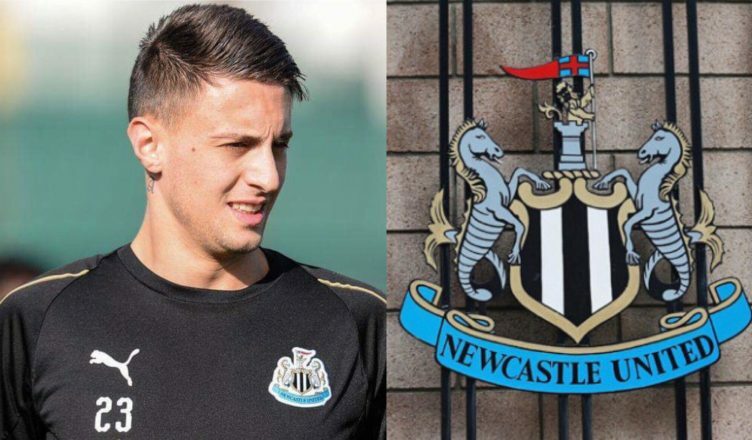 Club reporter makes damning Antonio Barreca claim – & says he only signed because 4 other deals collapsed – NUFC blog – Newcastle United blog – NUFC Fixtures, News and Forum. According to the Chronicle, Rafa Benitez tried and failed to sign FOUR other left-backs before settling on a loan deal for Monaco’s Antonio Barreca – suggesting he was anything but a top target. In fairness, we don’t need to be told that Barreca wasn’t Rafa’s top target – with a deal for Lazio’s Jordan Lukaku failing at the final hurdle just a few days before he arrived – however it’s since been revealed that we attempted to sign ‘at least’ THREE other left wing-backs before returning to a deal for the Italian. ‘Antonio Barreca was very much a wild-card signing; he was brought in out of necessity, rather than because he had such made a compelling case on the continent that he could excel in the Premier League. ‘After all, the 23-year-old made just seven appearances for a Monaco side who are in disarray, before being bombed out of the squad entirely by Thierry Henry – and the Ligue 1 club were delighted when Newcastle first registered an interest in January. ‘Yet, even when a loan deal had all been agreed with Monaco to bring Barreca to Tyneside for the second-half of the campaign, Benitez switched his attention to Jordan Lukaku once the Lazio left-back belatedly became available. ‘With that transfer subsequently collapsing after the Belgian failed a medical, Newcastle made enquiries for at least three other potential left-wing-backs before returning for Barreca. The fact Monaco were still willing to allow Barreca to leave confirmed their far-from-positive appraisal of the Italian. ‘Still, Benitez has been desperate to sign cover down the left-defensive flank for the best part of three years – an issue which has become even more pressing this season given Paul Dummett’s struggles with hamstring problems – and so he seized upon the opportunity to bring another body through the door. With all this in mind, it seems highly unlikely to me that Barreca will make his loan move a permanent one come the summer. He may end up getting more game time than we anticipate and could impress and give Rafa something to think about as a result, but the idea that he was nowhere near his top target, combined with the fact he’s unlikely to play too much (given his ‘back up’ status) means he’s facing a real uphill battle to stay at St James’ Park beyond the summer. That said, Benitez recently admitted that Fabian Schar was no his first choice target – and I highly doubt Dubravka was either – yet both have turned out to be stellar signings for the club. Well didn’t we all know that Rafa has been looking for back-up for Dummett, so whoever we signed was going to be a squad player only. You say that mate, but it seems to me Dummett won’t be played out wide in our current system as he’s too defensive and too limited offensively to be a wing-back. Think Barreca / Lukaku were seen as wing-back cover / alternatives to Ritchie, with Dummett likely to be a left-sided CB? I agree if we reverted back to 4-2-3-1, however.. I was wondering if this journalist had seen a Newcastle match this season….. Dummett is not a wingback so we did not need cover at that position for him. When Dummett has played it has been at left back (completely different type of position to wingback) or the left side of a back 3. Matt Ritchie has been employed as a left wingback to much success this season. Another piece of lazy journalism with poor research …..
Yeah, just what we need. We’ve struggled to get players in, and now we have them rip them to bits . Barecca was brought in to boost the squad and that’s what he has done. All this discussion about fullbacks and wingbacks is *******. The line between the 2 is so vague as be indiscernible, and it’s not about what he is, it’s about how Rafa wants him to play, and what his tactics de jour are. When he’s on his game Dummett can play either but its all about Rafa’s tactics. If we’re saying they are different then whoop-di-doo, we have options.